November 1, 2018 brought the end of the remarkable life of Todd McNamee of Camarillo, CA. For 9 months, he bravely fought tonsil cancer and the effects of the surgery, radiation, and follow-up treatments. McNamee was born in Van Nuys, CA, 52 years ago to Donald and June McNamee. He enjoyed 23 years of a “perfect match” marriage with Ann Curtin from Simi Valley, CA. Todd was the proud father of Jeffrey “J.T.” and Peter McNamee; boys who amazed him daily with love, adventure, and shared dreams of their limitless futures. Todd believed in building relationships, inspiring others through passionate leadership, maintaining personal integrity and protecting the integrity of others; and was steadfast in his belief in the importance of family. He was a proud father and loving husband who made time to attend his boys’ cross country meets, track meets, and piano recitals. He took his family on epic adventures with memories to last a lifetime and had enough love to build friendships that became extended family both near and far. He enjoyed life. Those who knew him would agree that he embodied the idea of working hard and playing hard. He was childlike, vulnerable, and real. Todd was a 1984 graduate of Simi Valley High School and received his MBA and BS degrees from Embry-Riddle Aeronautical University in Aviation Management. In March 2005 he received the highly respected industry designation of Accredited Airport Executive. He was recognized with numerous airport industry awards for his standout work as a leader among his colleagues. Todd began his airport management career with the County of Ventura in 2001 when he was hired as the Deputy Director of Airports. In 2005, he was appointed to the position of Director of Airports overseeing the operations, maintenance, and development of the Camarillo and Oxnard airports. Prior to entering the airport management industry he was involved in Unmanned Aircraft Systems (UAS) manufacturing and operations as a program manager and UAS pilot from 1987-2001 with companies including AeroVironment, BAI Aerosystems, Sky Hi RPAs, and Space Industries. 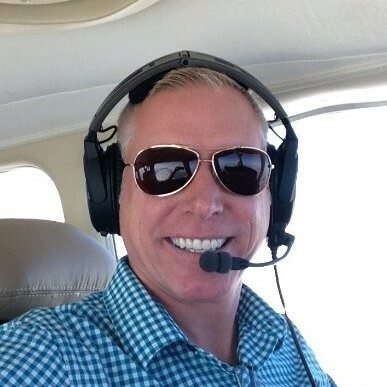 He was a licensed private pilot with instrument, single engine, twin engine, and commercial ratings related to personal and professional flying throughout 24 years. He possessed his remote pilot certificate to operate small UAS commercially. Todd served as the First Vice Chair of the American Association of Airport Executives (AAAE), the world’s largest professional organization for airport executives. In June 2019, he would have become the national Chair of the association. He had served as Past President of the Southwest Chapter of the American Association of Airport Executives, Past Board of Directors of AAAE, Board of Directors of the California Innovative Hub for Defense, Energy, and Aerospace, Past Chair of Southern California Association of Governments Aviation Technical Advisory Committee. His leadership was respected as a member of the Airports Council International, California Airports Council, Association of California Airports, Tri-County Airports Managers Association, Board of Directors of the Camarillo Chamber of Commerce, Oxnard Chamber of Commerce, and Rotary Club Camarillo. He had a mischievous twinkle in his eye and his laughter filled up the room. He was a lover of animals, particularly his dogs Trey and Tiger and his cat Smokey. He greatly enjoyed flying, golfing, collecting and admiring watches and gadgets, art, nature, running, hiking, a good glass of red wine, ice cold beer, fast cars, fast motorcycles, Christmas ornaments, drone flying, traveling, and searching for satellites in the night sky. The closeness of his family brought him comfort in his final months. He was supported by a loving family; mother-in-law Carole Curtin, father-in-law Robert Curtin (deceased), brother-in-law Bob Curtin married to Bonnie with niece Ava, brother-in-law Peter Curtin married to Stacey with nieces and nephews Jack, Ana, Harry, and Leah, and brother-in-law Adam Curtin married to Laura with niece and nephew Cecilia and Clayton. He was a loving son to his mother June McNamee and father Don McNamee with partner Carole Rowland. He was the supportive little brother to Lisa McNamee and now joins his brother Jeffrey in restful peace. He approached his professional and personal life with intelligence, passion, and fun. All will miss him. The love he gave and leadership he provided to so many will be his legacy. We love you Papa, Honey, Todd, and T2. Todd wanted a party to celebrate his life; he loved a good party! There is no more fitting tribute to this amazing man. Blue skies! A private family burial will be held at: Oakwood Memorial Cemetery, Chatsworth, CA on Saturday, November 17th. In lieu of flowers contributions can be made to the American Cancer Society towards Head and Neck Cancer research. We invite all who knew Todd to his Celebration of Life, hosted by the Ventura County Department of Airports at Air 7, 575 Aviation Drive, Camarillo Airport, December 1, 2018 at 10:00 am. To leave online condolences, please visit legacy.com.